The Siglent function generators have a very well thought-out and easy-to-use operation, which also offers comprehensive comfort functions for all tasks. The menu guide is intuitive to use and all functions and parameters can be easily operated by a graphical representation on the touch display. 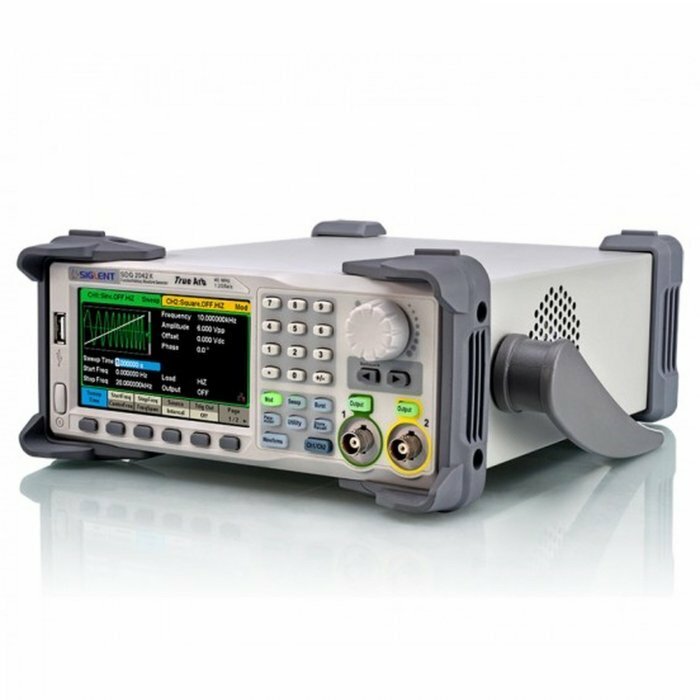 With Siglent's TrueArb technology, the generators retain the advantages of DDS technology but do not bring the disadvantages of DDS with them, such as jitter or signal changes. 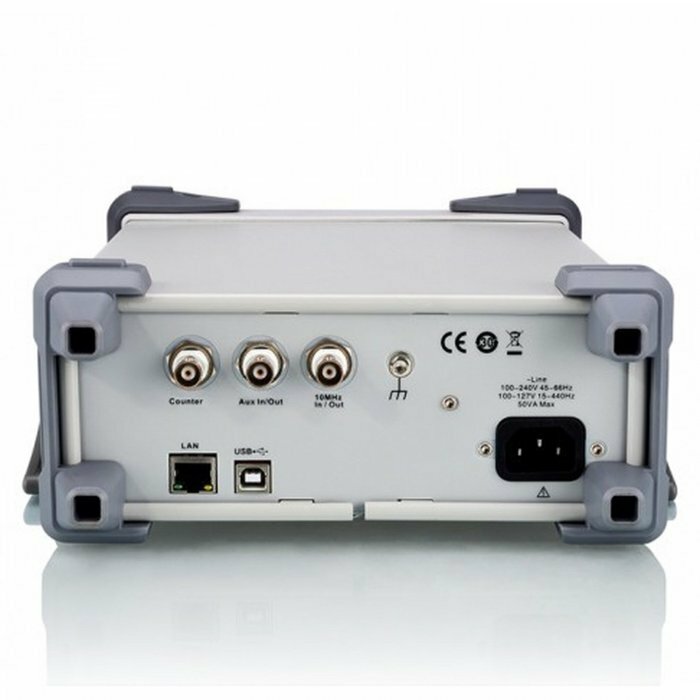 Through the TrueArb technology, arbitrary waveforms are generated point by point, each data point stored in the memory is used for the generation of the output signal. No data points are omitted or repeated, resulting in very low jitter times (<150 ps). All arbitrary signals with 8 to 8 million data points are supported at a sampling rate in the range from 1 μSa / s to 75 MSa / s.
The innovative EasyPulse technology allows the generation of square or pulse signals with very low jitter and high-precision pulse widths and precisely adjustable rise and fall times. When a rectangle or pulse signal is generated by a normal DDS method, there is in most cases a jitter with a length of one clock if the sampling rate is not a whole multiple of the output frequency. 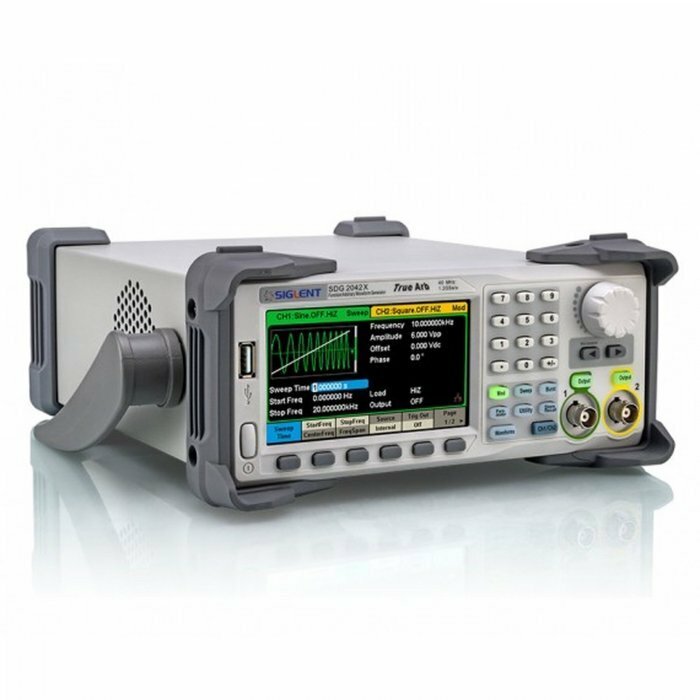 The SDG2000X EasyPulse technology successfully overcomes this weakness of the DDS process and thus produces waveforms with very low jitter. A wide range of digital and analog modulation modes are supported, including "internal" and "external" modulation. 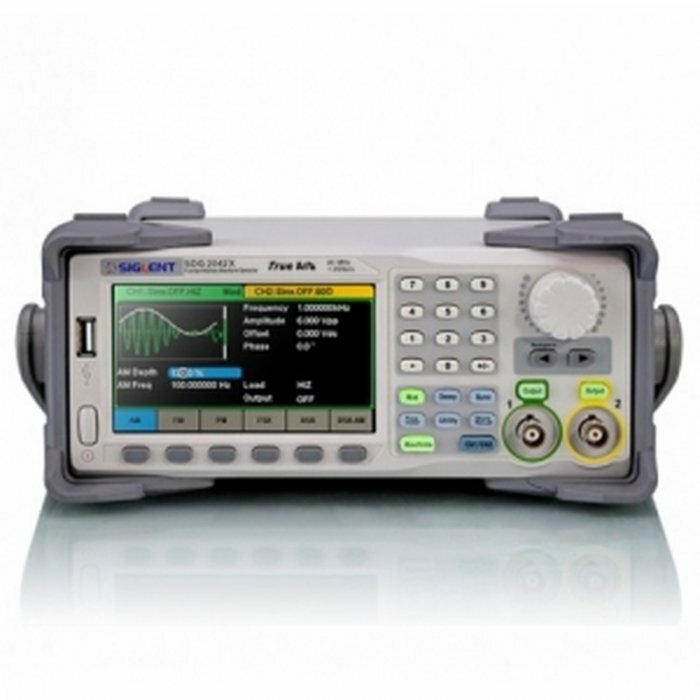 Burst signals for sine, rectangle, ramp (triangle), pulse or arbitrary waveforms can be generated. In addition to the burst modes "N cycle" and "Gated" phase shifts from 0 ° to 360 ° and burst times from 1 μs to 1000 s are supported. Both logarithmic and linear sweep modes with up-or-down direction are supported using one of the following waveforms: sine, rectangle, ramp (triangle), and arbitrary signals. In the sweep mode, the SDG2000X can generate signals with variable frequencies and sweep times between 1 ms up to 500 s. An internal, external or manual trigger can be selected as trigger source. The devices have a built-in precise frequency counter with a frequency range of 0.1 Hz to 200 MHz. The frequency counter can be used independently of the two analogue output channels by means of a separate input on the rear side of the device.